What does zero-waste travel mean? Zero-waste travel is the act of traveling in a way that greatly reduces one's environmental impact, specifically by limiting the amount of trash generated. Practices include bringing reusable toiletries containers, portable composting, and consciously minimizing one's carbon emissions. 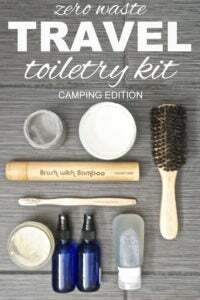 Prepare your own zero-waste travel kit before you leave. In addition to your bringing your own food containers and cutlery, pack a small UV water purifier [– we use one called a Steripen –] so that you can always have safe drinking water and never have to buy any plastic bottles. Where does zero-waste travel come from? Zero-waste travel is part of the zero-waste movement. This environmental movement picked up steam in the early 2000s to promote responsible production (eliminating packaging and toxins), sustainable consumption (use all you can), and reuse (whatever you can’t consume). Zero-waste refers to the elimination of forms of harmful refuse, especially packaging that ends up in landfills and incinerators. Ultimately, a zero-waste lifestyle generates no trash–nothing that can’t be repurposed in some way. Recycling and composting are pillars of a zero-waste strategy. Reducing single-use plastics has also been a major focus in the late 2010s. It wasn’t long before the zero-waste movement turned its eye towards travel. In general, traveling can be incredibly waste-intensive, from single-use travel toiletries, to plastic packaging, to the carbon emissions from planes and cars. The phrase zero-waste travel is evidenced by at least 2012, when Amy Korst included a chapter on it in her book The Zero-Waste Lifestyle. The term, and concept, spread in 2015 with bloggers and vloggers documenting their own adventures in–and providing guides to–zero-waste travel. 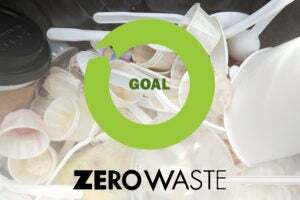 In addition to zero-waste travel, other efforts in the zero-waste movement include zero-waste cities, zero-waste homes, and zero-waste stores. Online, people may use the hashtag #zerowastetravel or #zerowastetraveller to share about, encourage, and educate people on zero-waste adventures. Travel companies, websites, and influencers may also write about zero-waste travel to promote their products and brands—and, above all, a greener lifestyle. In late 2018, the company Natural Habitat Adventures announced that it will be creating the world’s first zero-waste trip to Yellowstone where all guests will be given a zero-waste toolkit with reusable items. Their aim is for all waste generated from the trip to fit into a single small container. Not quite zero waste, but close.